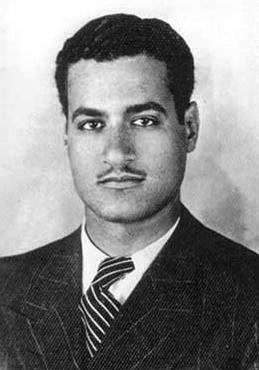 Gamal Abdel Nasser Hussein (15 January 1918 – 28 September 1970) was the second President of Egypt from 1956 until his death. 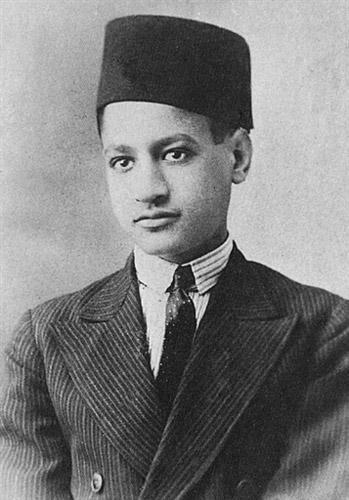 Along with Muhammad Naguib, the first President, he led the Egyptian Revolution of 1952 which overthrew the monarchy of Egypt and Sudan, and brought in a new period of change in Egypt. 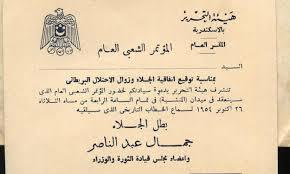 This change made Egypt a more socialist and modern country, as well as pushing forward pan-Arab nationalism through his policies, including a union with Syria that did not last very long. 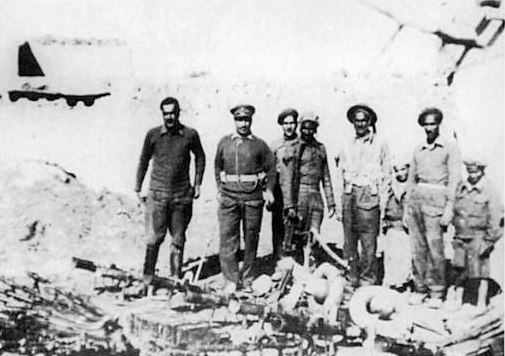 Nasser (first from left) with his unit in the Faluja pocket, displaying weapons captured from the Israeli Army during the 1948 war. The Free Officers after the coup, 1953. 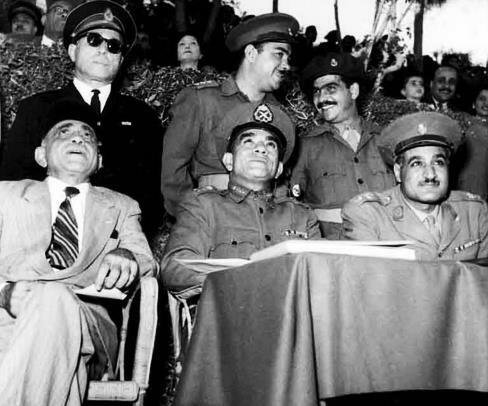 Counterclockwise: Zakaria Mohieddin, Abdel Latif Boghdadi, Kamel el-Din Hussein (standing), Nasser (seated), Abdel Hakim Amer, Muhammad Naguib, Youssef Seddik, and Ahmad Shawki. 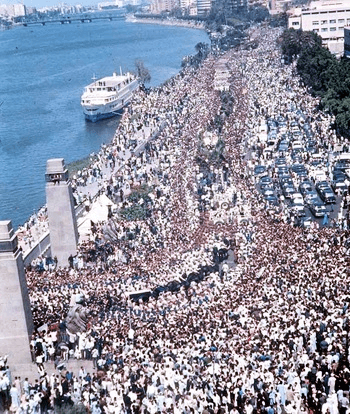 Nasser greeted by crowds in Alexandria one day after his announcement of the British withdrawal and the assassination attempt against him, 27 October 1954. 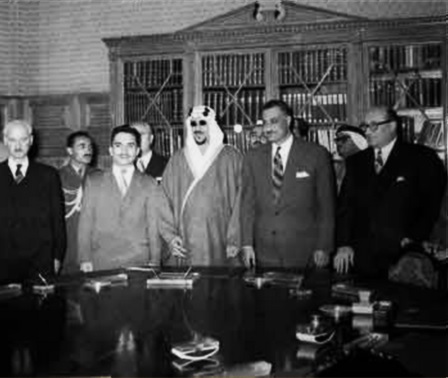 Nasser seated alongside Crown Prince Muhammad al-Badr of North Yemen (center) and Shukri al-Quwatli (right), February 1958. North Yemen joined the UAR to form the United Arab States, a loose confederation. Nasser (right) and Lebanese president Fuad Chehab (to Nasser's right) at the Syrian–Lebanese border during talks to end the crisis in Lebanon. 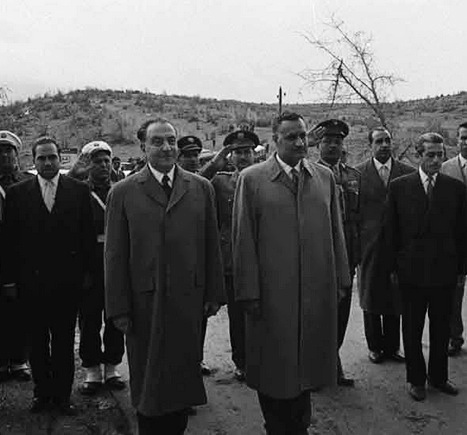 Akram al-Hawrani stands third to Nasser's left, and Abdel Hamid Sarraj stands to Chehab's right, March 1959. 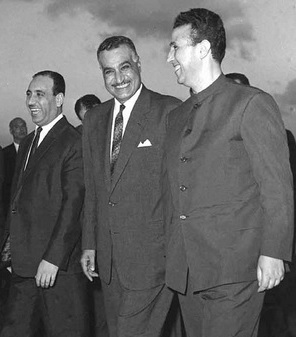 Nasser (center) receiving Algerian president Ahmed Ben Bella (right) and Iraqi president Abdel Salam Aref (left) for the Arab League summit in Alexandria, September 1964. 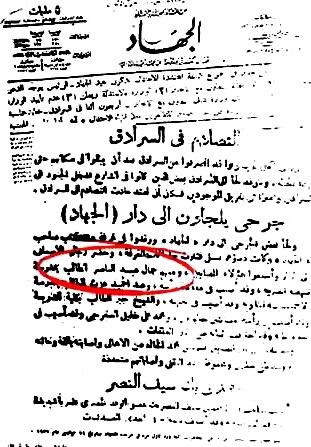 Ben Bella and Aref were close allies of Nasser. Nasser observing the Suez front with Egyptian officers during the 1968 War of Attrition. 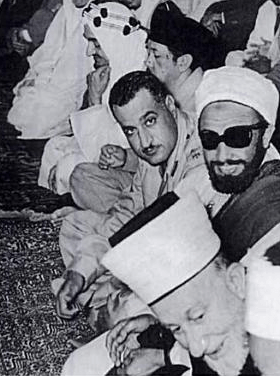 General Commander Mohamed Fawzi is directly behind Nasser, and to their left is Chief of Staff Abdel Moneim Riad. 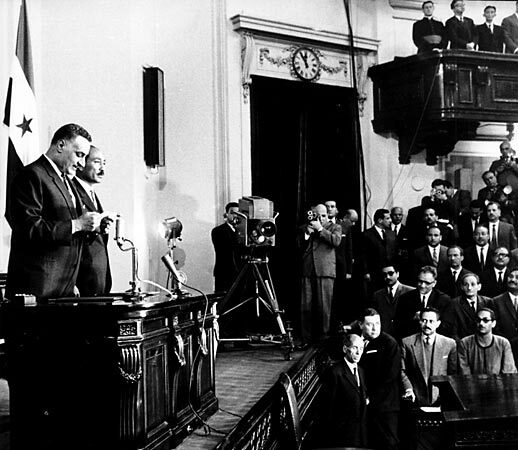 Anwar Sadat (left) and Nasser in the National Assembly, 1964. 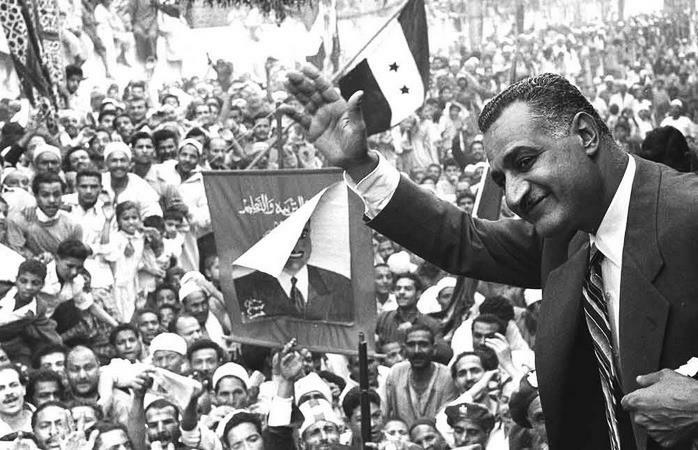 Sadat succeeded Nasser as president in 1970 and significantly departed from Nasser's policies throughout his rule. 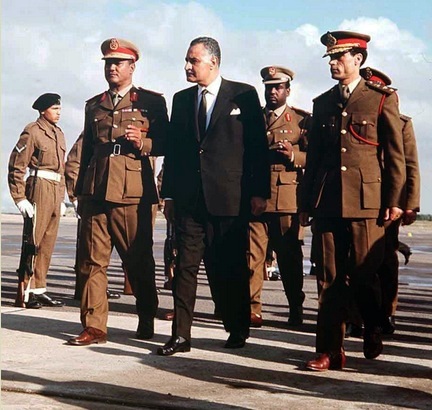 Gaafar Nimeiry of Sudan (left), Nasser, and Muammar Gaddafi of Libya (right) at the Tripoli Airport, 1969. 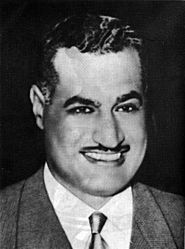 Nimeiry and Gaddafi were influenced by Nasser's pan-Arabist ideas and the latter sought to succeed him as "leader of the Arabs". Nasser and his family in Manshiyat al-Bakri, 1963. From left to right, his daughter Mona, his wife Tahia Kazem, daughter Hoda, son Abdel Hakim, son Khaled, son Abdel Hamid, and Nasser. 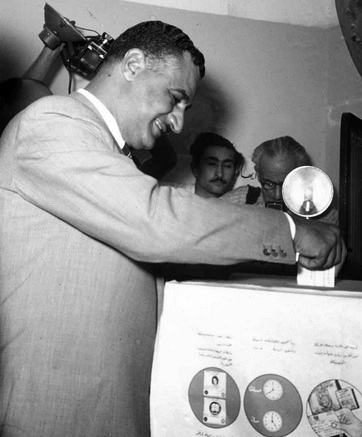 Gamal Abdel Nasser Facts for Kids. Kiddle Encyclopedia.